When the Samsung Galaxy S4 was released last year, Samsung included a feature called Air Gesture. This feature allows you to navigate your smartphone like moving between pictures and images, scrolling through email, accepting incoming calls, or checking for notifications without physically touching your Android device screen. The feature functions with the integrated apps that come with the phone but a few developers have created apps to try to replicate this nifty feature in other phones. One of this app is the Hovering Controls app. With Hovering Controls, you can use air gestures to open your favourite app, unlock your smartphone or even answer a phone call. Best of all, you can use most of its basic features for free. Grab Hovering Controls and install it into your device. Open the app; you will be asked to give administrative access to Hovering Control. Just tap Yes. Next, you will be asked the same question again. This time you need to tap on Activate – if you get the same question a third time, tap on Yes again and you can start using the app. Next, you can set up your gesture settings to determine whether it will open a single app or use the carousel mode. Using Hovering Controls, you can activate certain apps via 3 gestures: Hover Hold, Slide Once and Slide Twice. If you have a favorite app that you almost always open up first or most often on your device, you can set it to turn on upon Hover Hold. Hover Hold works when your palm "hovers" over the screen of your device. 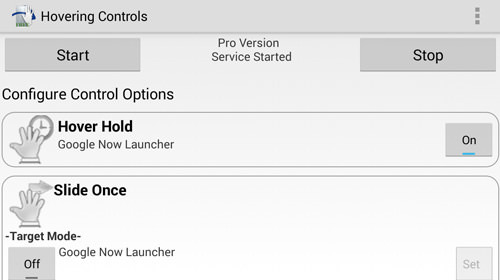 You can launch apps or launchers with it. The same works with Slide Twice (a left-right quick motion). Both these gestures work to activate only a single app each. Under the Slide Once gesture, you can choose Carousel Mode which lets you have more than one app linked to the gesture. If you have 5 apps linked to this gesture, everytime you swipe over the screen, you flip through the linked apps. Just stop swiping to use the app you want. In the Settings page you can enable gesture to skip or pause your music, lock/unlock your smartphone, answer a call and many others. 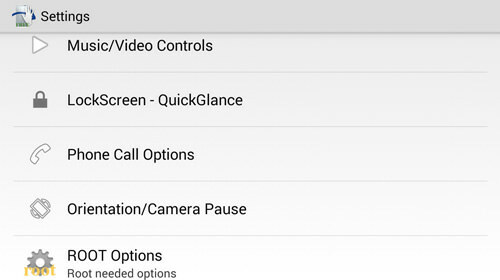 You can also opt for root options to enable features like Camera AutoShoot or Browser Navigation. For this app to listen to your active notifications, you will need to allow it to access your notifications by tapping on ‘Allow Detect Notification’ in the app main page and tick Hovering Controls. Furthermore, if you find that you want to increase or decrease the sensor duration, you can do this on the Sensors Options page and change the delay settings there. 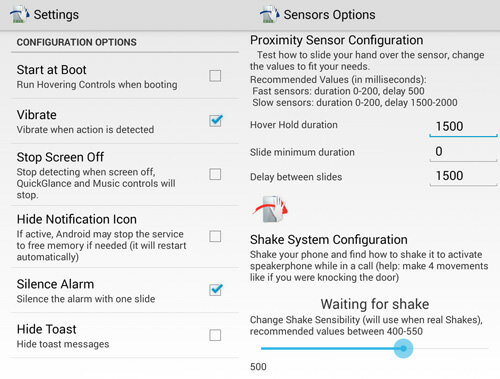 Lastly, you can also optimize how the app behaves: have it run at boot, vibrate when detected, disable detection when screen is off and so on, all at the Settings page. Unlike other Android apps, It’s a bit tricky to uninstall this particular app due to the early permission you’ve given the app. 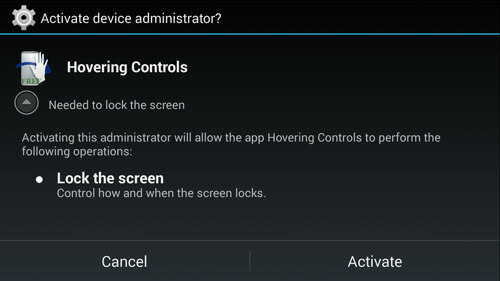 Before you can uninstall Hovering Controls, you will need to do an extra step of deactivating the Administrative permission you’ve given to the app. 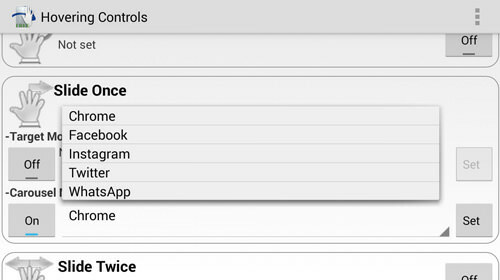 To do that, tap on the navicon icon or your device menu button, and select Uninstall-Device Admin. Next, tap on Disable Admin to Uninstall and you will notice a small message at the bottom indicating that you can now uninstall the app. Proceed with uninstalling Hovering Controls as per any other app. At the time of writing, the option to use the hover hold to jump straight to your Android home screen is not included. You would need to choose your current launcher (if you use one) in order to jump to your home screen using the gesture. The developer did talk about adding this feature and is still thinking about how best to enable it. You can follow the discussion here. If you think using air gesture is cool and will ultimately improve the daily usage of your Android device, the free app is more than sufficient. If however, you want to obtain access to features like silencing incoming calls, quickglance, flip cover mode and more, grab the paid version for just $1.37.